Calling all Our Family Coalition supporters! We’re glad you’re part of our community, and we love doing what we do on behalf of your family and our community. Today we’re asking for a little help back, something fun, which includes a major perk if you throw yourself into it. for this year’s Give OUT Day,Tuesday, April 18, 2019? Give OUT Day is the one and only national day of giving for the LGBTQ community, driven by thousands of individuals passionately promoting things they care about via their networks online. Here’s our organization’s GiveOUT day page, so you can get an idea of what this is about. We’d love to have you on board as an ambassador! Establish an Individual GiveOUT Day Donor page, so you can personalize your pitch & we can track your donors (we’ll help; it’s easy). Be willing to spread the word to your friends and social media/ Facebook followers over the weeks before Give OUT Day. Plug Give OUT Day on Tuesday, April 18th, with as much enthusiasm as you have time that day, with Tweets, Facebook posts, email blasts to friends, etc. We’ll walk you through it all, if you’re in. It’s simple, it’s fun, and it’s huge way to give back to OFC. Ready for the major perk? The OFC ambassador who nets the most unique donors – not the most donation money total, just the most people donating – will be thanked with two free tickets to this year’s Night Out Gala, Friday April 26! Sweet, right? If you’re interested, email us at media@ourfamily.org. This entry was posted in Giving on March 9, 2019 by Our Family Coalition. Our Family Coalition calls on Congress to advance the the Family And Medical Insurance Leave (FAMILY) Act, a major piece of legislation reintroduced in Congress on Feb 12 by Rep. Rosa DeLauro (D-CT) and Sen. Kirsten Gillibrand (D-NY) with the goal of establishing our nation’s FIRST federal insurance program for paid family and medical leave. This LGBTQ-inclusive measure would ensure employees have access to 12 weeks of partial income if they take time off to care for a health problem of a child, parent, spouse or domestic partner, the birth or adoption of a child, or military caregiving and leave purposes. The proposal also makes leave available to every individual regardless of the size of their current employer or whether such individual is currently employed by an employer, self-employed or currently unemployed, as long as the person has sufficient earnings and work history. We at Our Family Coalition believe that the FAMILY Act is a huge step forward to addressing our country’s paid family and medical leave crisis and that – when it becomes the law of the land – it will benefit working people, our families, businesses and our nation’s economy. The National Partnership for Women & Families prepared a fact sheet on the bill. Please contact your Congressional representative at the U.S. House of Representatives and urge them to support the FAMILY Act today! This entry was posted in Action Alert, Family Leave, Legislation & Policy, News on February 13, 2019 by Our Family Coalition. We are so glad to announce another Our Family Coalition Night Out, this year slated for Friday, April 26, 2019, at the InterContinental San Francisco. For over a decade, Night Out has been the only Bay Area event designed to celebrate LGBTQ families, our champions, and our allies. Hundreds of the most committed leaders and partners in the LGBTQ family justice and education movement gather to celebrate, revive and envision. Elected officials, corporate sponsors, community partners, schools, and major donors join in celebrating our families and our accomplishments, and together marshal the resources to ensure Our Family Coalition’s bright future. Zach Wahls, Iowa Senator, will receive our Luminary Award, for his clarion-clear voice and potent advocacy on behalf of LGBTQ family and gender equity coast to coast. Alison Collins, San Francisco School Board Member and community organizer, will receive our Community Partner Award for her dedication to educational equity for all. 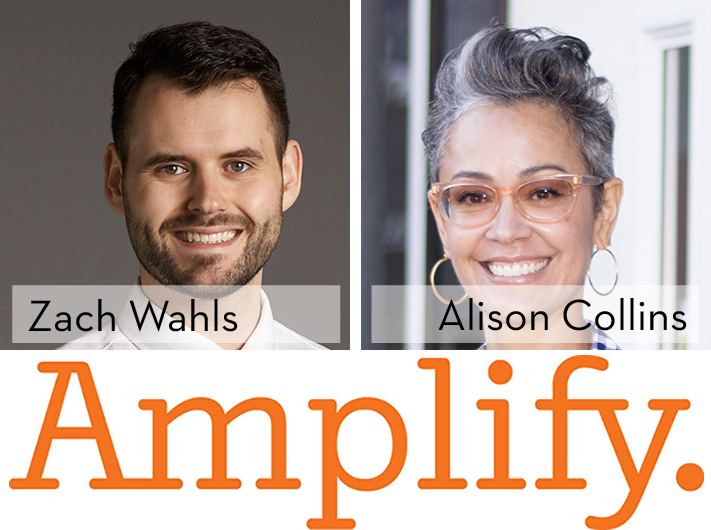 Amplify will receive our Corporate Impact Award for their exemplary, pioneering work in inclusive education. All sorts of leading companies, organizations, and individuals have already committed to making this year’s event a huge success, including Brio Financial, Pure Storage, Amplify, Northwest Surrogacy Center, Reproductive Science Center, California Teachers Association, Marin Country Day School, and many more. Sponsorship opportunities are available now! Check out the details here. Please email Jenny Raviv at your earliest convenience if you’d like to join these champions for LGBTQ families and inclusive education, or click on the Become a Sponsor button below. The benefits are many, not least of which is great visibility and participation in this one-of-a-kind Bay Area tradition. I’m looking forward to welcoming you on April 26 at the InterContinental San Francisco to celebrate these inspiring leaders and our collective achievements on behalf of LGBTQ families, our allies, and our community. It’s an evening of inspiration not to be missed. This entry was posted in Night Out, Our Family Coalition Events on February 11, 2019 by Our Family Coalition. Our Family Coalition: Tell us about your family. Jimmy and Michael: We have been together for 13 years total, and married for one year. We were friends before we got together as a couple. In fact, Jimmy was trying to help Michael get over a recent ex of his, developing feelings for Michael in the process. One thing led to another and the rest is history! OFC: How long was this journey, from having the idea in your head to now, when the baby is in your arms and you’re both launched into fatherhood? Jimmy and Michael: For as long as we can remember, we have always wanted to become fathers and have always had the desire to have children. Even in our younger days when we were still having fun, we have always set a goal for ourselves to become parents somewhere in our mid-thirties when we are ready emotionally, psychologically, and financially. Fast forward to about five years ago. We began our initial research into the different kinds of options to family building (adoption, fostering, surrogacy, co-parenting, etc). After a couple of years of research and talking to different people, we ultimately decided that surrogacy was the choice for us. During the holidays of 2016, we started talking about our goals for the new year, and we decided that 2017 was the year to take the plunge and start our journey of fatherhood. Come early January 2017, while researching about surrogacy, Jimmy got distracted and scrolled through his Facebook feed. With the amazing remarketing technology of Facebook, an advertisement for Men Having Babies in San Francisco came up on Jimmy’s feed. We saw the ad on Tuesday and the seminar was for Saturday. We immediately booked flights and accommodations and attended the seminar a few days later. Fast forward one year and nine months and the birth of our son was October 11, 2018. Our actual journey was relatively short by most standards, but we came into it with a few years of research behind us. OFC: What were the things that you were most worried about that turned out the most different? Fears, concerns, natural things you were obsessing would be a problem but actually weren’t? What were your biggest discoveries? Jimmy and Michael: We were worried that we would have many complications and that it would take several tries and tens of thousands more dollars to achieve pregnancy, but we were so lucky to have had a relatively smooth journey. We had one failed transfer; however, we were successful with the subsequent transfer two months later. The fear was based on talking to people and reading about the plethora of things that could go wrong. We were also worried that we wouldn’t develop a good relationship with our surrogate and that it would be purely ‘business’ in nature, but we were also lucky to meet our wonderful surrogate and her family and have developed an amazing bond with them that still continues to this day. We discovered that there were tons of resources available to us through Men Having Babies and that our journey would be guided step-by-step by the wonderful men and women who were affiliated with the organization. OFC: For many, the cost of surrogacy is essentially prohibitive, how did you manage to navigate this piece of the process? Jimmy and Michael: We did not embark on our journey without having saved up enough money to complete the journey – without having to remortgage our house or take out any loans. We were fortunate enough to be able to do this prior to starting our journey. We understand that this may not be possible for many people, but it is imperative that sacrifices are made in order to save up for this journey. OFC: Were there any organizations or groups that have been particularly helpful for you along the way, in addition to Men Having Babies or Our Family Coalition? Are there any resources you would consider critical? Jimmy and Michael: We mostly reached out to MHB members with questions we had along the way with our journey, and everyone helped immensely in answering all of the questions that we had. We also received help from other infertility professionals that were working with Canadian Fertility Consulting (CFC) as well. CFC was the agency we worked with for the Canadian part of our journey. OFC: If you had the chance to talk to yourselves years ago, what would be the most critical advice you’d want to give yourselves, with the insight you have now that you’re on this side of the journey? Jimmy and Michael: Don’t be afraid and intimidated by the process! Take the plunge and know that there are lots of resources around to help navigate the journey. OFC: If there were any gift you could give prospective and expecting dads at their baby shower, what would it be? Jimmy and Michael: It would be to have Dr. Georges Sylvestre on their speed dial to help answer any and all questions related to the medical part of the journey! Dr. Sylvestre is very active with MHB and is a huge resource to have. The 6th Annual Surrogacy Conference and Expo takes place this weekend, January 12-13, 2019, at the Marines’ Memorial Club and Hotel, in San Francisco. This entry was posted in Surrogacy, Uncategorized on January 8, 2019 by Our Family Coalition. I serve as Family Programs Director here at Our Family Coalition. I’m a lesbian mom, an immigrant, and have been a proud Bay Area resident for the past 25 years. I live in the East Bay with my spouse, our son, and our cat Frederic, whom we consider our second child. I came to work at Our Family Coalition for deeply personal reasons that I’d like to share with you, before inviting you to join us in our work with a generous end-of-year donation. My family had attended the LGBTQ Family Night at the YMCA in Berkeley since our son was a toddler, so we knew first-hand that the organization offered amazing programs and classes for families like mine. We saw more queer families under one roof in one night than we could hope to see in a year! And we kept coming back. Then in 2011, we needed help dealing with homophobia at my son’s school. I had worked with the school to launch their first LGBTQ family group and became the VP of LGBTQ Affairs on the PTA’s Executive Board, but knew we needed more to make schools inclusive for our son and his classmates. I contacted OFC’s stellar Education Team to do a training for the teachers and parents. When I saw their impact on our school community, I knew that I wanted to be a part of that work. When an opportunity to join OFC’s team came up, I leapt at it, and I’ve considered this work a calling ever since. OFC’s family support programming is truly unparallelled: no other organization – locally or statewide – offers the quantity and quality of opportunities that we do for LGBTQ parents and caregivers of young children. At our workshops, playgroups, support groups, and community events, people break their isolation and find one another; they strengthen bonds with their kids and their community. Families learn about valuable resources and expand their leadership and parenting skills in spaces where families like ours are the norm, not the exception: all this thanks to Our Family Coalition’s work. And he has been true to his word. In addition to his modest donation, he has helped at our CampOuts. He helped kids with science projects at San Francisco Pride Family Garden, and helped kids make buttons declaring their family pride at Oakland Pride Family Garden. It’s not always easy to get a tween to engage in something bigger than themselves. Yet when they do, they put their heart into it. My son sees the value of what OFC gives to the community and our family, and he wants to be a part of it. I couldn’t be more proud. Won’t you join my son in supporting Our Family Coalition by making a generous donation today? Our grant and foundation funding only goes so far – we have to rely on our community to reciprocate, to give back in whatever way they can. We offer nearly all our family support services on a donation basis, counting on those who can to help us. My son gives what he can, and that’s what I’m asking of you: please give what you can. If you’ve ever attended a workshop that gave you information that helped you support or protect your family; if you’ve ever gone to a parenting class or a support group that helped you feel you weren’t the only one; if you’ve ever come to a playgroup or a community event and saw your child playing with a wide-open heart, surrounded by families that looked like yours: please donate what you think that information, or that belonging, or that community has been worth to you and your family. Your support will enable us to keep bringing our community together. Together, we build resilience and understanding. And with that, we can change the world. This entry was posted in Appeals on December 4, 2018 by Our Family Coalition. We have an exciting change of plans to share: in putting together California’s inaugural Make History, Teach History: An LGBTQ History Symposium over the past few months, we have connected with many stakeholders who’ve been eager to help co-create a high quality LGBTQ-inclusive professional learning program for teachers and administrators. During this process, one thing has become clear: many more organizations want to contribute than we’d anticipated. So we’re shifting the focus of our October 12 event: it will now be an LGBTQ History Stakeholder Forum. Its goal: to convene key stakeholders to provide input on the best way to deliver the state’s inaugural LGBTQ-inclusive professional development program for K12 history and social science educators. What are the best structures, content, and strategies to provide professional development for administrators and teachers around implementing the teaching of LGBTQ history in our schools? What does the research inform us about teaching LGBTQ history? How can we best collaborate and leverage the resources we each have, to get the best materials to educators? What academic institutions, education professionals, organizations, companies, and others should be involved? How do we support school districts in the implementation of policies consistent with the FAIR Education Act and of LGBTQ history teaching that is aligned with the new state History/ Social Science Frameworks? How can we impact the education of all students so they are more engaged in learning, in a way that improves retention and graduation rates, and leads to more college- and career-readiness? We’ll facilitate discussion among educators and educational stakeholders, bringing all our collective insight to bear on the content and structure of the inaugural LGBTQ history professional learning program (to be hosted in Spring 2019). We look forward to planning this important work together with you October 12th, at the Google Community Space in San Francisco, and in the months to come. For further info and to register, visit the event page here. This entry was posted in Announcement, Events, FAIR Education on August 25, 2018 by Our Family Coalition. UPDATE: THIS EVENT HAS CHANGED. SEE THE LGBT HISTORY STAKEHOLDER FORUM FOR FURTHER INFO. Schools across California are now, for the first time in our state’s history, required to include Fair, Accurate, Inclusive and Respectful (FAIR) representations of the LGBTQ community in K-12 History and Social Studies curriculum. Now it’s time to ensure ALL teachers and administrators receive the necessary support to properly implement and incorporate the new material into their lesson plans and school districts across the state. Our Family Coalition is proud to invite you to the inaugural “Make History, Teach History Symposium (MHTH),” a groundbreaking conference in San Francisco where attendees will access successful strategies to teach and effectively incorporate this subject matter into existing teaching practices. All will receive sample lesson plans and opportunities for 1:1 coaching on best practices for mitigating and addressing potential concerns from parents or schools as we move to incorporating LGBTQ inclusive instructional materials. Mark your calendars for October 12th! Continuing Education Units provided. Audience: K-12 Administrators and Teachers. The “Make History, Teach History (MHTH)” SF & LA initiative is brought to you by Our Family Coalition in collaboration with the Committee on LGBT History, the GLBT Historical Society, and San Francisco State University. Symposium promotional partnership and sponsorship opportunities still available. The L.A. Symposium will be hosted in the Spring. Please complete this form should your organization be interested in becoming a sponsor or promotional partner. Make History By Teaching History! Please contact education@ourfamily.org to join us! Every week we are faced with another gratuitous challenge to the gains LGBTQ people and our families had so recently made, or an affront to human decency. This week it’s both. On Wednesday, the House Appropriations Committee approved a harshly anti-LGBTQ family amendment to an existing bill, allowing child service agencies widespread license to discriminate against LGBTQ people –or against interfaith couples, or single parents, or any other prospective parents who don’t pass the agency’s or its staff’s religious muster. And more: the bill not only enshrines discrimination based on “religious or moral beliefs,” but it would discriminate against states who ban anti-LGBT discrimination in child placement services – such as ours – by denying such states 15% of their federal annual adoption dispersals. The effect: the federal government would disproportionately fund adoption and foster placements in “religious recusal” or legally discriminatory states. This is more than outrageous, this is inhumane. More than 440,000 children are in foster care right now; 117,000 are waiting for adoption; more than 20,000 age out before finding a permanent family. Two million LGBTQ adults have expressed interest in becoming foster or adoptive parents: it’s beyond time to end this pointless discrimination, in the best interest of the children. Because the amendment is attached to the bill that provides funding for the Department of Labor, Health and Human Services, and Education, to kill this amendment representatives need to vote against the entire funding package. But House Democrats and moderate Republicans could work together against, and they must. We know from impacts on the Affordable Care Act and family separation that public outcry has an impact. Our voices can and will make a difference! Contact your representative. Demand they oppose this inhumane attempt to enshrine anti-LGBTQ discrimination nationwide. If they’re already on record in opposition, encourage them to raise their voice louder, and assure them you have their back. Join the mailing list of the Every Child Deserves a Family campaign to stay updated: ECDF is a federal act – introduced last year by John Lewis (D-GA) in the House and Kirsten Gillebrand (D-NY) in the Senate – calling on child welfare agencies to make placement decisions on the basis of the best interest of the child, not an agency’s or its workers’ religious beliefs. Share your story: Our Family Coalition is always interested in collecting and publishing your story, whether you are a foster parent or youth, an LGBTQ parent, a child welfare professional, or an ally. Or join the Speaker’s Bureau at Our Family Coalition. In print or in person, your voice will help spread real understanding about real families. We need this now more than ever. We are here for one another; we are here for the children, and we will continue fighting against bigotry, together, in the name of love. This entry was posted in Action Alert, Adoptive Families, Family Formation, Foster families, News on July 13, 2018 by Our Family Coalition. On June 20th the Trump Administration signed an executive order apparently stopping their policy of separating families at the border. This is a false victory, with severe repercussions. The executive order, known as “Affording Congress an Opportunity to Address Family Separation,” still allows for continued prosecution of immigrant families and will encourage their indefinite incarceration–only now, together. There is much work to be done to protect our immigrant communities, which include thousands of LGBTQ individuals and families escaping persecution. If this inhumane executive order stands, babies and innocent children will continue to be incarcerated in tent cities, cages, and even federal jails indefinitely, while families are criminally prosecuted awaiting the outcome of their deportation cases. Furthermore, this order does not provide any redress to families that have already been separated, nor does it include any plans to reunite children with their parents. We are humbled to have been awarded SF Pride’s José Sarria History Maker Award for our work helping to advance LGBTQ inclusion in California schools. It is fitting, then, to remember: history is made up of what we do–or don’t do–every day, and likewise history will judge us for those actions–or that inaction. We remember that Pride commemorates a riot that launched the modern LGBTQ liberation movement, whose accomplishments make so much of the comfort and mobility of our queer lives possible. Let us reclaim the streets on Sunday and in the days coming, in solidarity with all our community, inspired to continue the necessary work before us. Call your elected official and demand a NO vote on Paul Ryan’s Immigration Bill, which is designed to exploit this crisis and enshrine family separation. The vote has been postponed ‘til next week and its passage would be disastrous. Supoort Our Family Coalition and local partners who are leading local and statewide immigration efforts. And may we all continue to educate ourselves, our families, and friends in our journeys toward being effective allies to all marginalized communities. We are, more than ever, in this together. This entry was posted in Action Alert, Racial Justice and tagged family separation on June 26, 2018 by Our Family Coalition. Win, lose, or draw: we still have work to do! This morning’s Supreme Court ruling in the Masterpiece Cakeshop case wasn’t a win, or a loss: it was a draw. “Religious exemption” arguments may not be used to justify discrimination against LGBTQ people. And LGBTQ people in the 19 states who are currently protected – as in California – remain just as protected today as we were yesterday. But the court missed an opportunity to strike down those “religious exemption” arguments once and for all. The larger issues remain unresolved by the court, so we still have a lot of work ahead of us to ensure nondiscrimination protections nation-wide. So: the ruling was in favor of the baker, but in a very narrow, “case-specific” way. What does that mean? If they don’t already, urge your representative to support the Equality Act, which amends the Civil Rights act to include LGBTQ people – and if they do, thank them! If they don’t already, urge your representative to support Do No Harm Act, which amends the Religious Fredom Restoration Act to ensure it’s not used in a discriminatory way– and if they do, thank them! Join our Speaker’s Bureau and help amplify the voices of LGBTQ family in all these issues affecting us. Support Our Family Coalition’s ongoing efforts to ensure equity for all of us. It was never about the cake. And: the baker’s win is not, in simple terms, our loss. But we still have work to do. We’re honored to do it together with you. P.S. Our friends at the National Equality Action Team and the ACLU have made it easy to find a rally in your area to show your support of nondiscrimination protections and opposition to the use of religion as a weapon. This entry was posted in Action Alert, News on June 4, 2018 by Our Family Coalition.